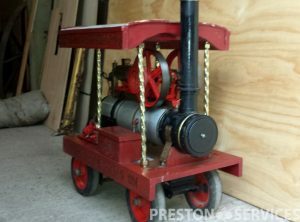 Built in the 1970’s, this very small portable is for sale in good condition. 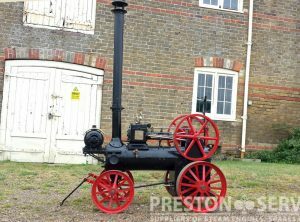 A very rare, unusually small portable, for sale in nice original condition. 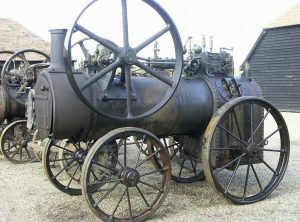 With early sprung type wheels, etc. 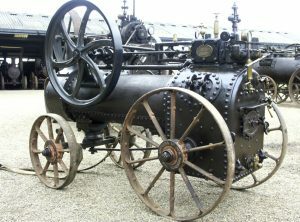 The earliest Robey known to exist? 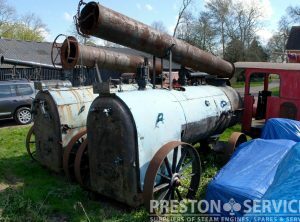 For sale in need of restoration. 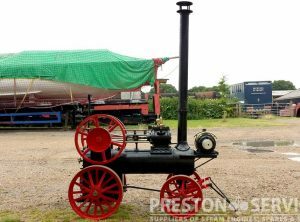 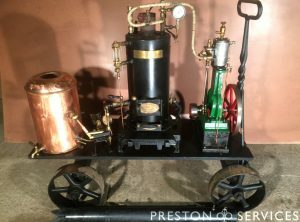 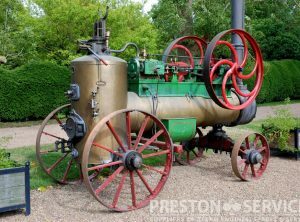 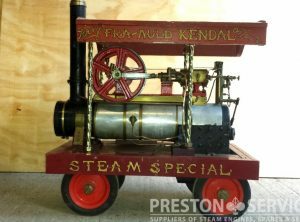 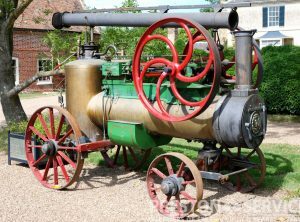 Model D ‘Peerless’ portable steam engine by Geiser Manufacturing Company of Waynesboro, Pennsylvania. 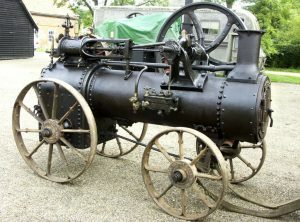 A small portable of approx 2 tons. 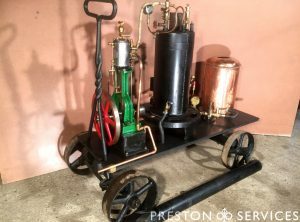 A very unusual model, this is a working electric light engine, on wheels with canopy. 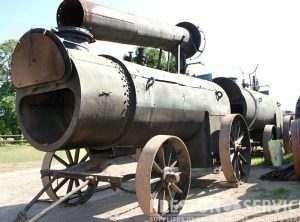 A handsome small Italian portable and a rare survivor, for sale in need of restoration. 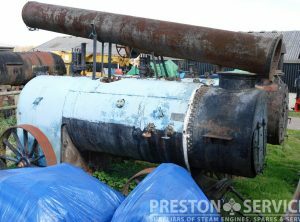 An ex-Admiralty (Royal Navy) dockyard boiler, built by Marshall & Sons Ltd, Gainsborough c1940. 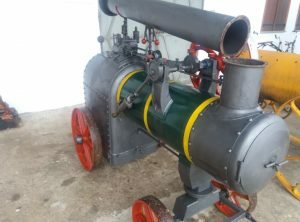 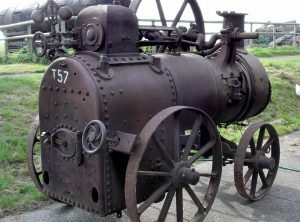 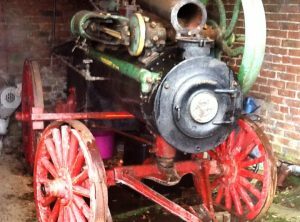 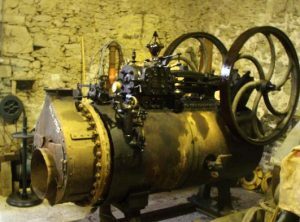 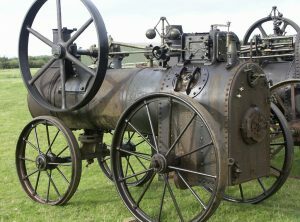 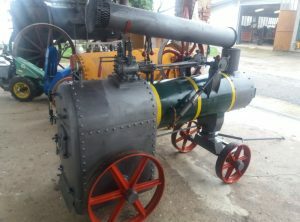 Used for engine running and other testing purposes at a Royal Navy dockyard, this high output steam boiler is of riveted construction and sits on Marshall’s sprung type wheels. 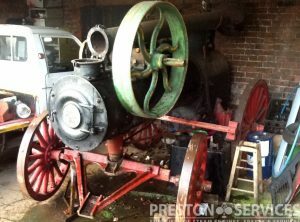 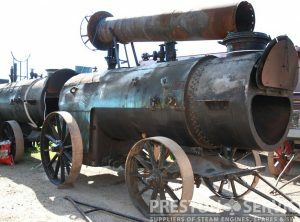 For sale with most fittings including safety valve and gauge glass frames, etc. 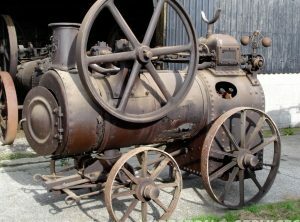 Believed in reasonable, usable condition.